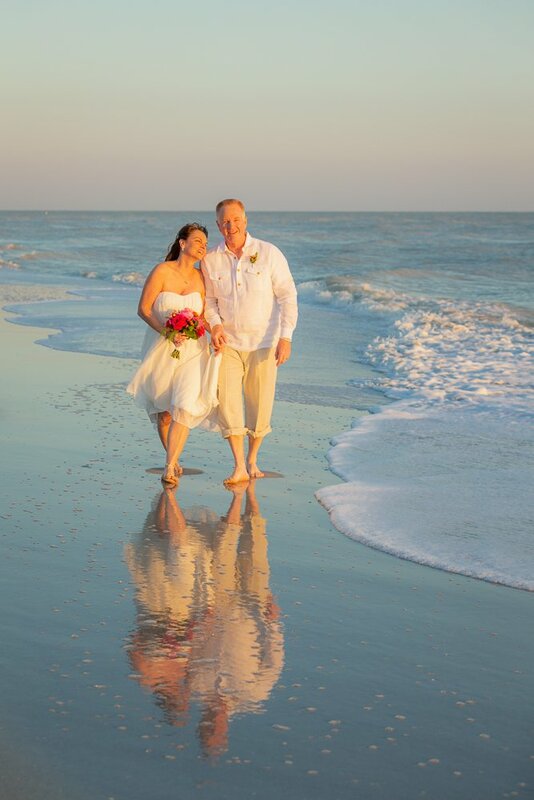 Keith and Sheryle were married in March of 2009 on Sanibel Island by Patricia Slater. 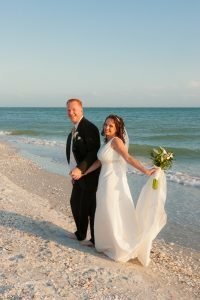 Shown below are three pictures from their beach wedding ten years ago. 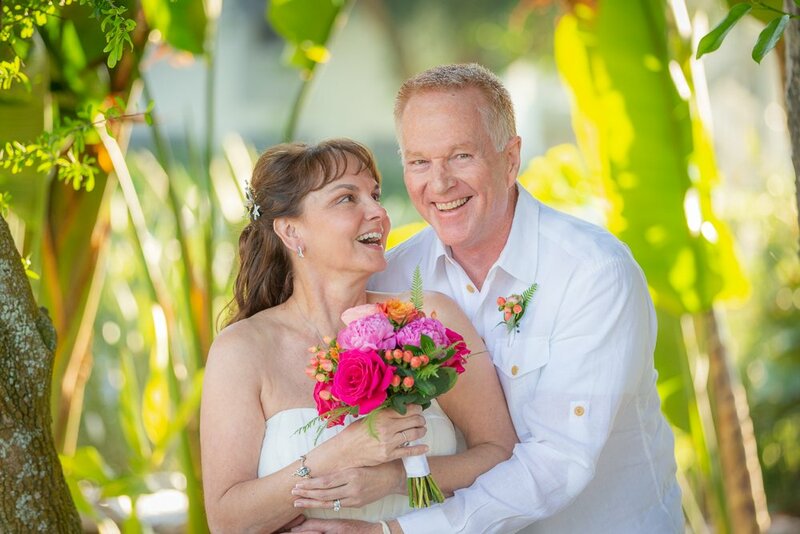 They called Patricia a few months ago to plan their tenth wedding celebration. The three wedding photos below were taken by Frank Simonetti-Photographer in 2009. 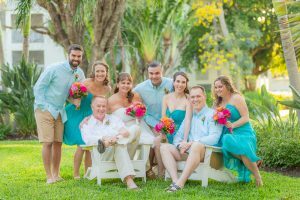 This visit to Sanibel Island included a vacation with their grown children. 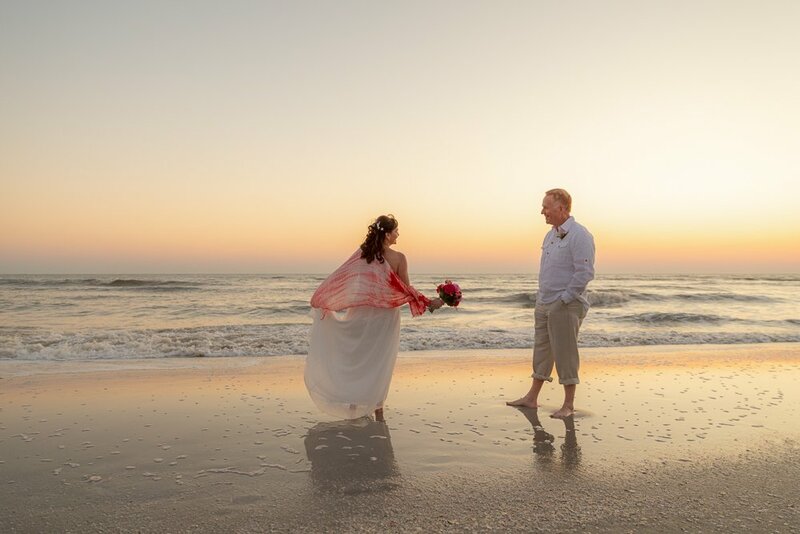 Sheryle remembered the exact location of their wedding ceremony in 2009 and wanted the same beach for their vow renewal. 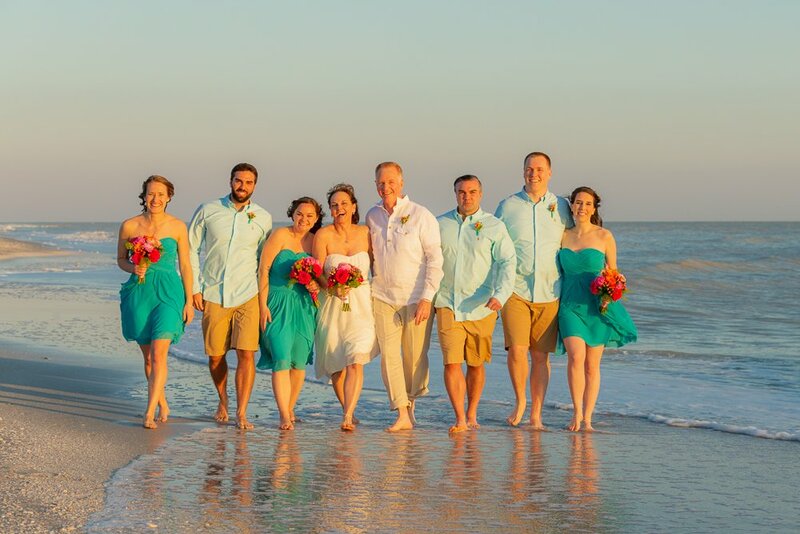 We all met at the Thistle Lodge on Sanibel Island for pictures first. Thistle Lodge Restaurant is where the couple celebrated their original wedding dinner a decade ago. 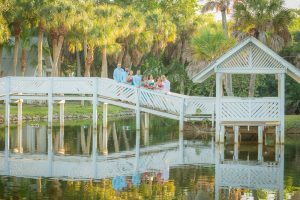 We took some family pictures with their children at this beautifully landscaped Casa Ybel Resort, then off to their special Sanibel beach. The weather was comfortable and the beach was beautiful. 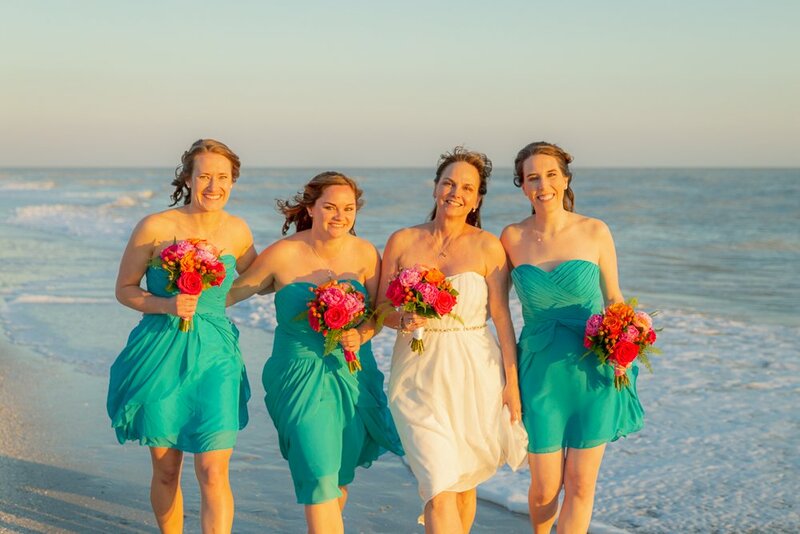 Sheryle’s daughters all had beautiful bouquets exactly equal to the bridal bouquet which made for a few great pictures. 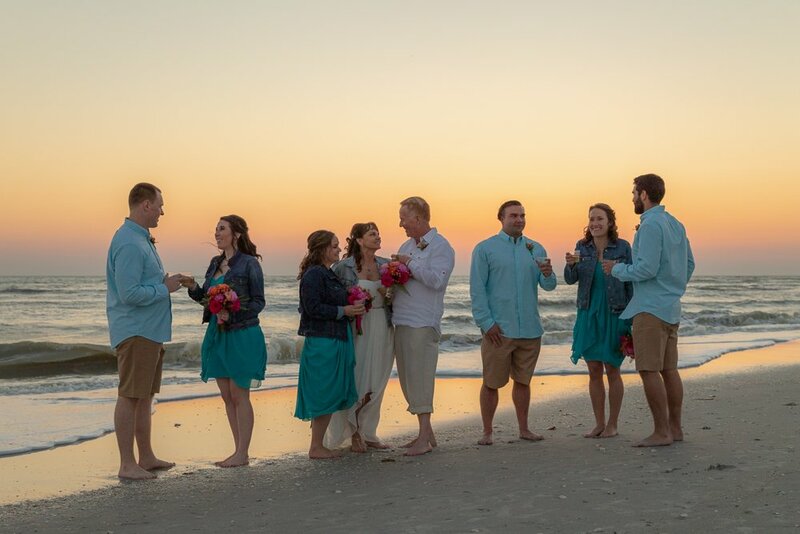 After the ceremony we had time for a champagne toast and sunset pictures. 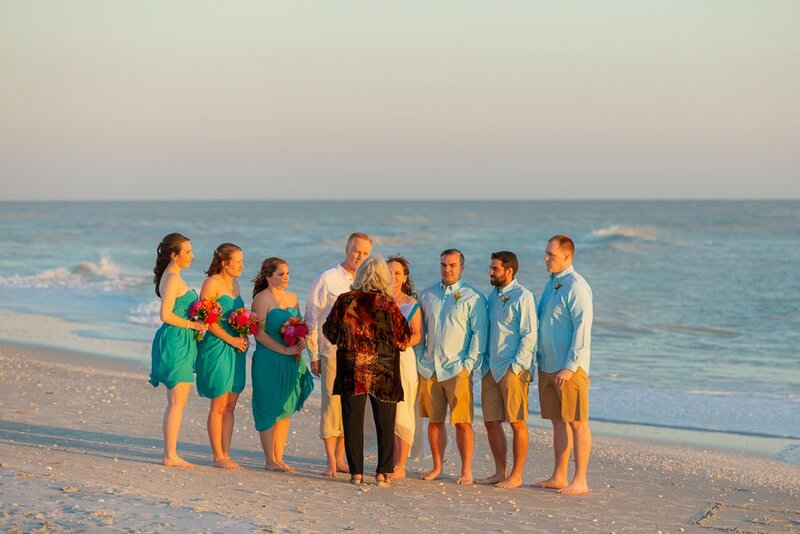 Each of the children and their spouses were also photographed with the beautiful warm colors in the sky. 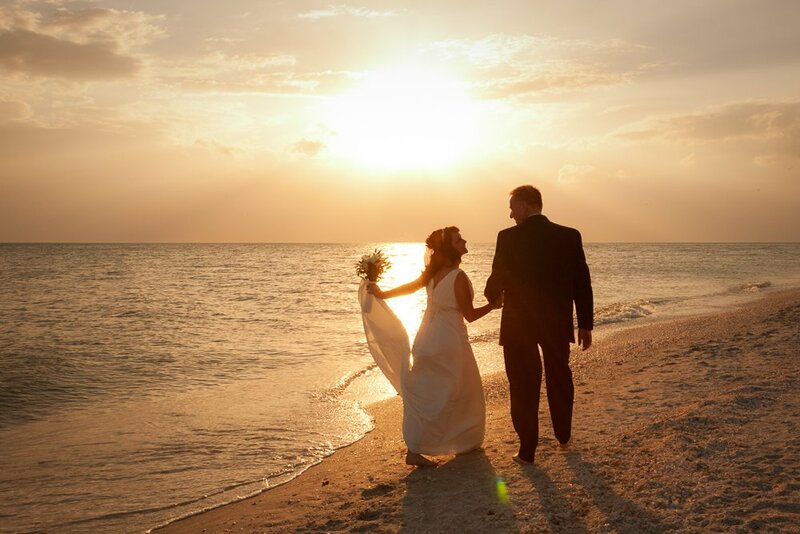 When the sunset faded, everyone walked from the beach to be transported back to the Thistle Lodge where they all enjoyed a celebration dinner. Shown here are some of my favorite images we created.